This week on Monday, 25 June, an award-winning RHS Chelsea Flower Show garden bloomed in Marble Arch! 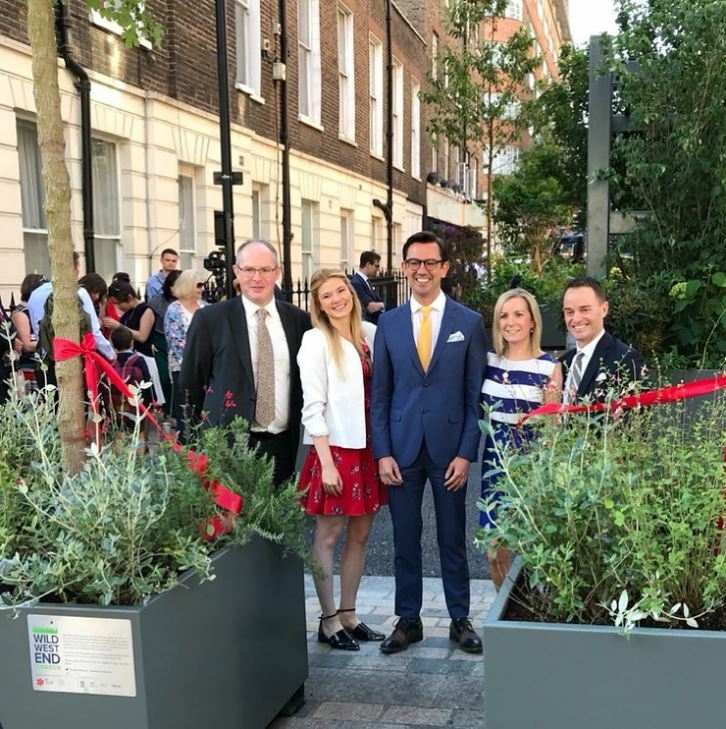 We are very proud to have launched the Wild West End Garden in our BID area on Old Quebec Street with project owners The Portman Estate and New West End Company. 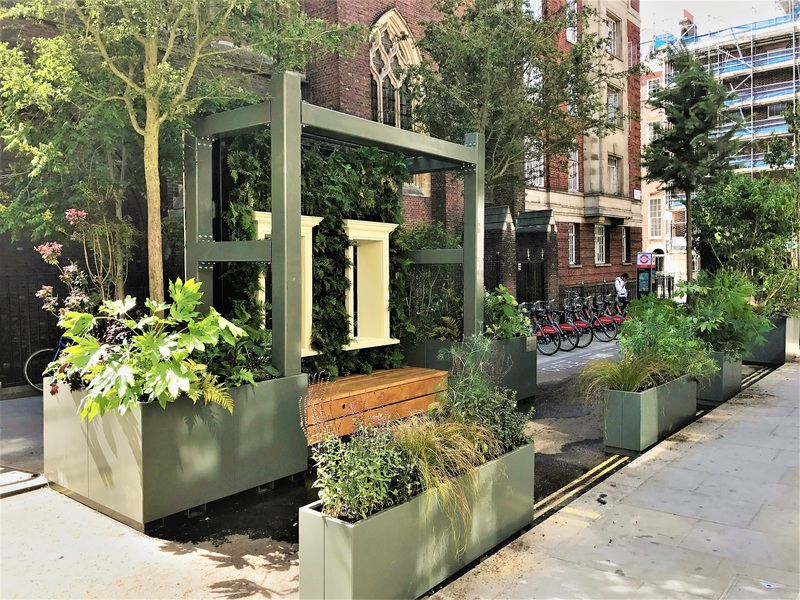 We worked in partnership with the project owners and Baker Street Quarter Partnership, Wild West End and Westminster City Council to bring this public garden to the Marble Arch London BID area! The garden will be open for 18 months throughout the day and night, with light boxes illuminating the space during the evening. The garden aims to improve air quality in the area, whilst providing a tranquil oasis for visitors, workers and those passing through. Kate Gould, the designer of the garden and five-time Chelsea gold medalist, specifically chose certain plants in the garden for their contribution to air purification. The ferns and plants have been specifically chosen to help remove pollution, and include acers, Chinese dogwood trees and seven-son flower trees, all believed to have a beneficial impact on air purity. Lightweight trees will provide shelter and seclusion from the bustling urban surroundings, with vibrant low-level plantings beckoning in visitors off the street.